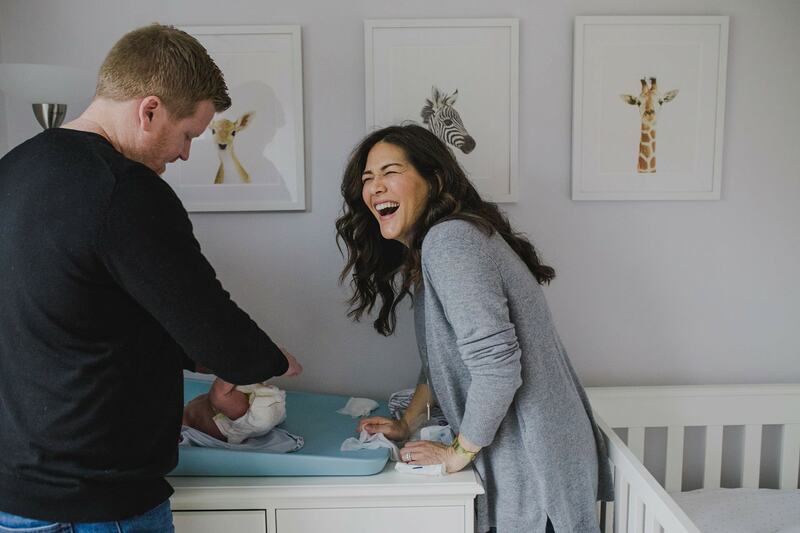 Capture the first days and weeks of your new baby’s life. All the tiny details: the wrinkled toes, the first hair (or the lack of it), the yawns, the fleeting smiles. 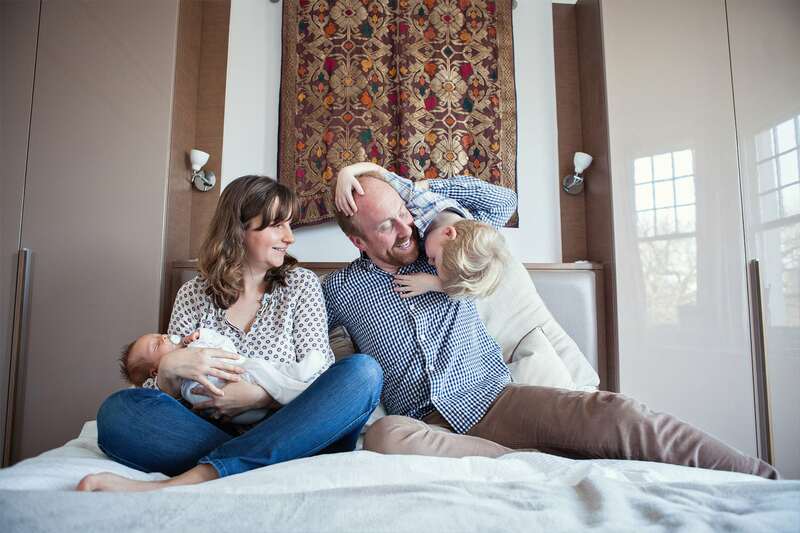 Capture your love for this new human being you created together, the wonder of getting to know them, the pure joy of just looking at them – and the hilarity of needing two parents to change one tiny nappy! 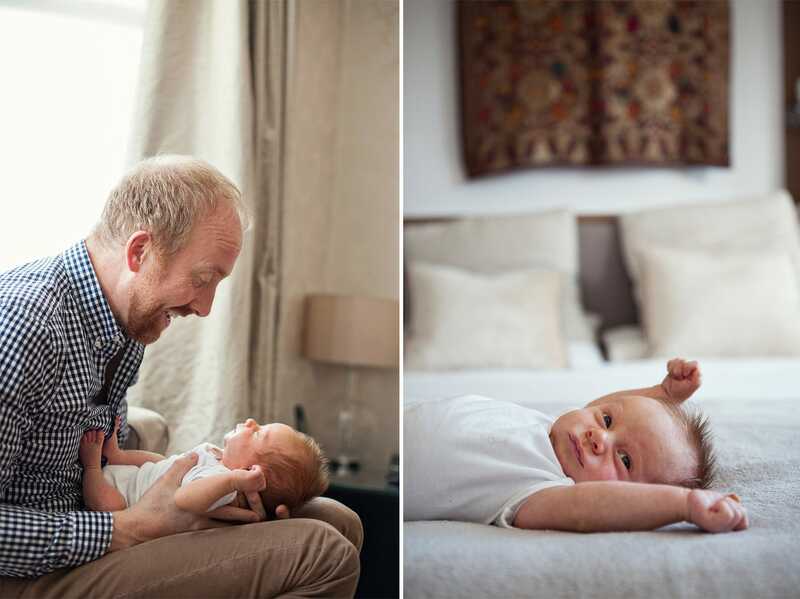 As part of your newborn photoshoot at home we’ll take some time to create beautiful, relaxed portraits of the whole family, as well as the baby on their own. The rest of our time together will be dedicated to capturing your typical day without any direction from me. 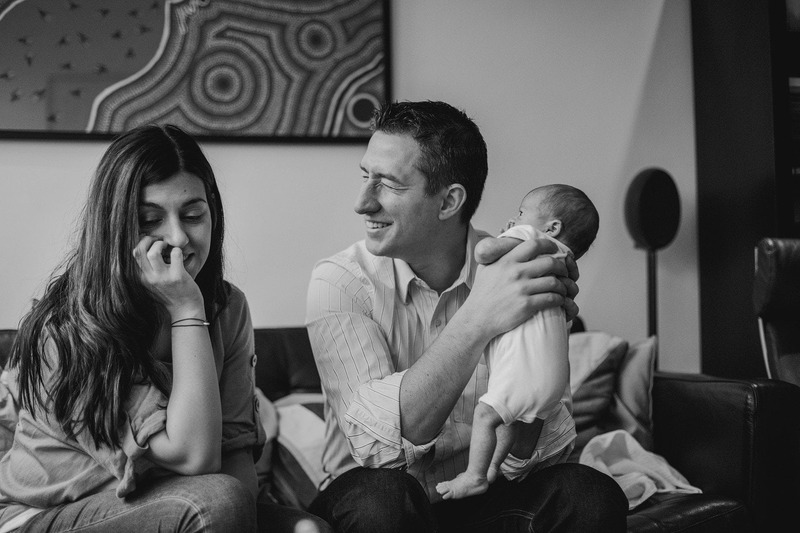 You’ll get the best of both worlds – candid, photojournalistic images of your everyday life captured beautifully, as well as relaxed lifestyle portraits of the whole family! 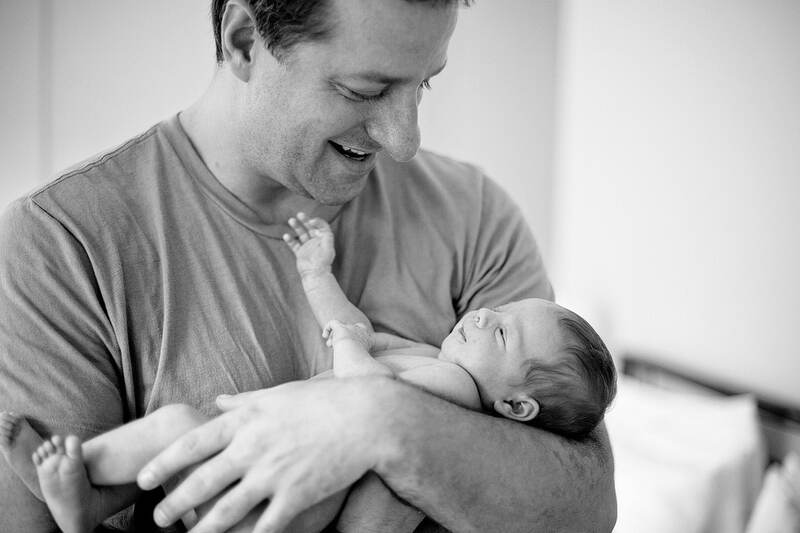 WHEN SHOULD I BOOK A NEWBORN PHOTOGRAPHER? 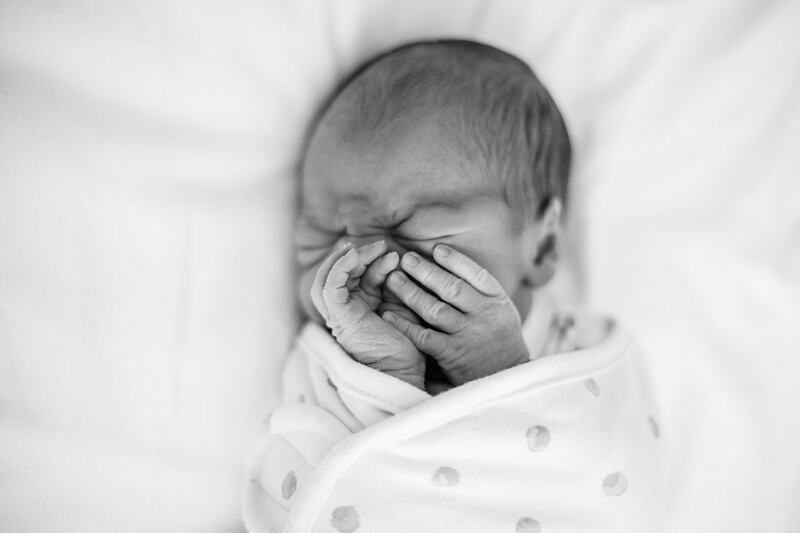 While most newborn photographers will insist on a rather short window post-birth (6-14 days or so) for taking newborn baby photos, I don’t have that rule, and you can have your baby photographed at any point in the first few weeks of their life. 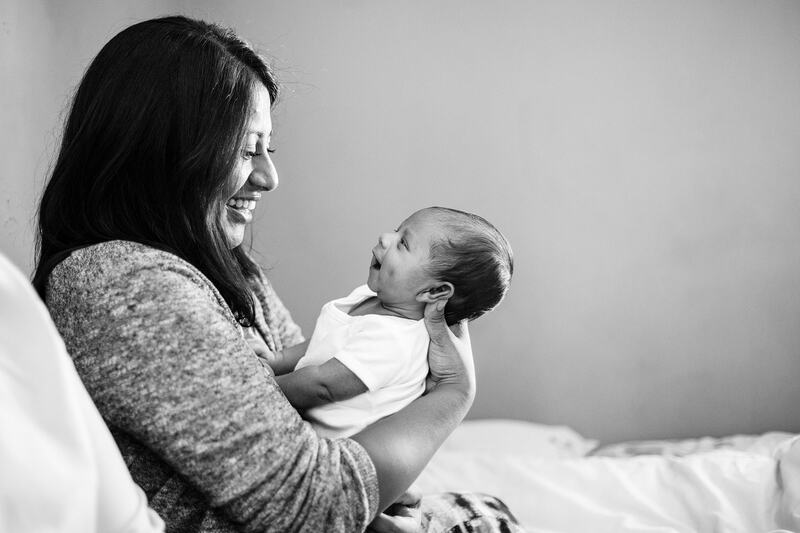 My documentary, photojournalistic approach to newborn pictures means there is no need to pose the baby on a beanbag, and no need to ensure they are asleep for an extended period of time. 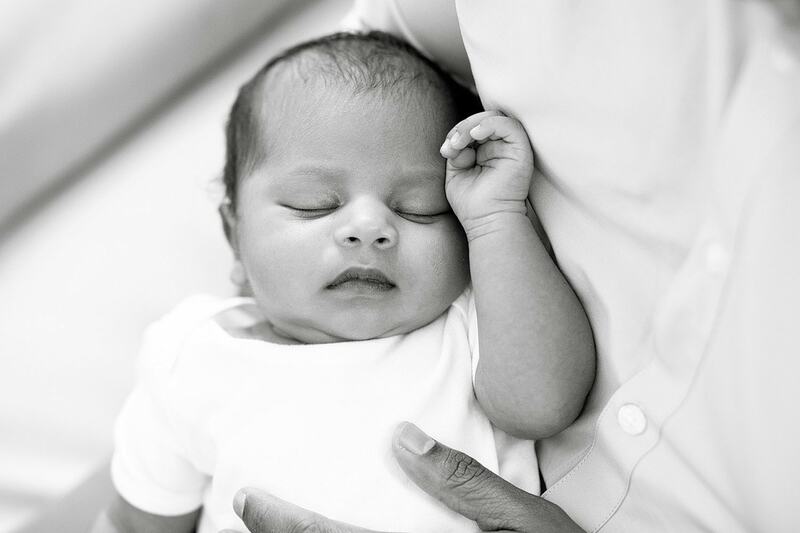 I’ve photographed newborn babies as young as 5 days old, and as old as 3 months old, and the results are always lovely, regardless of the age of the baby! It’s best to get in touch with me while you’re still pregnant, and I will pencil you in for your due date, and once the baby arrives we will make adjustments from there. 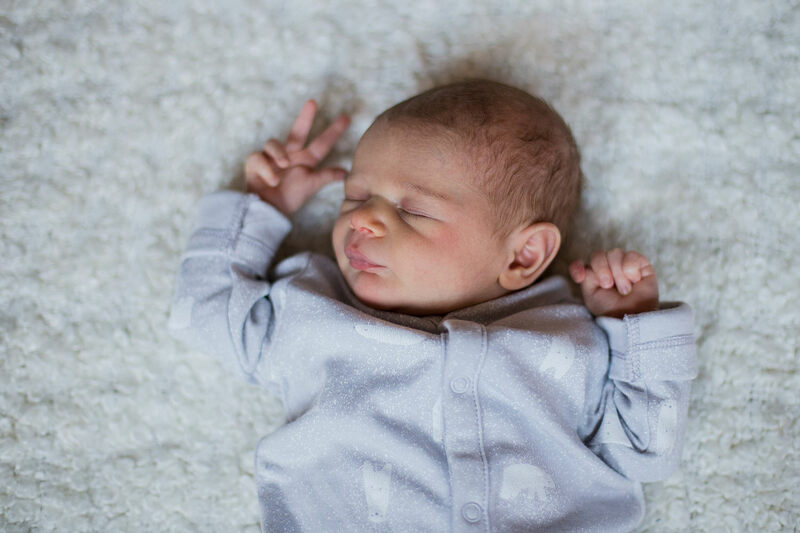 If you have already had your baby and only now realise that you now want to book a newborn photoshoot to capture this fleeting and precious stage, by all means still get in touch and I will try to fit you in!